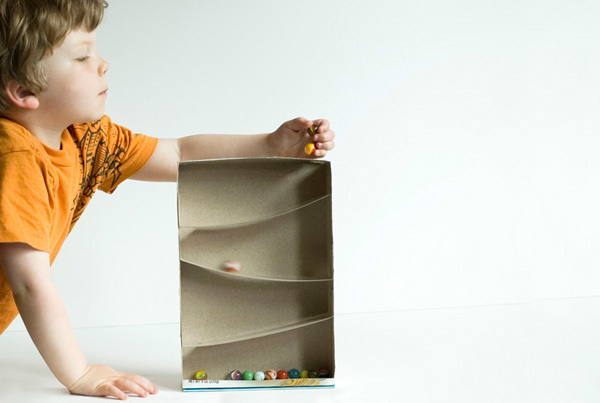 I love this simple cereal box marble run from Made by Joel. Check out Joel's blog for detailed instructions (and lots of other creative projects for kids). It fits perfectly into our ongoing series of posts celebrating the creative reuse of cardboard packaging and would be an easy project for a lazy summer morning.